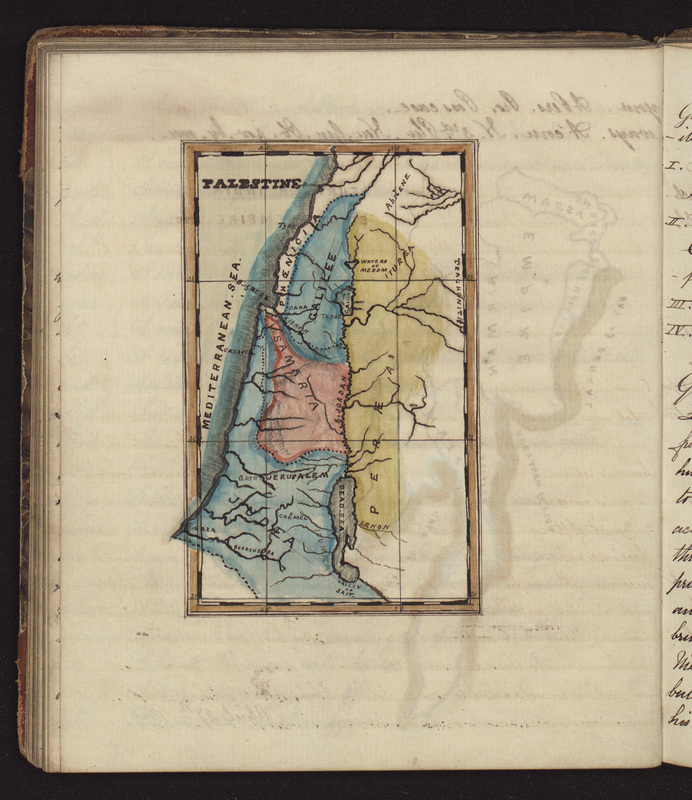 James T. Francombe, Hand drawn map of the Holy Land, scale not given, from J.T. Francombe’s notebook, 1859. Photograph courtesy of the Bristol Record Office (40477/F/2).